Despite rapid developments in LED as an efficient source of light it has not been able to capture even 5% of the market share in general lighting application which still is being dominated by the conventional light sources. It is true that apart from high power LED chips there has been great progress in enhancing reliability of drivers and heat sinks. At least the chip manufacturers can safely claim that their products are not going to betray the useful lives declared by them. LEDs do have some unique properties which no other light source can ever have. They are highly efficient, converts almost the entire electrical energy input into light energy; requires very little power to operate ( a green energy ) as it is seen in India almost 18% of the power generated is consumed by artificial lighting ( rest of the world, particularly the developed nations, may be even higher ); smaller solar panels can be used to provide power to these lights and thus bring light in rural areas and remote corners in our planet where civilization has not seen electricity; tiny source helping in design of compact luminaires, lighter in weight and easier to handle; very long life even in comparison to the longevity of a long life H.I.D source developed till date. Then what ails it from entering the general lighting application? 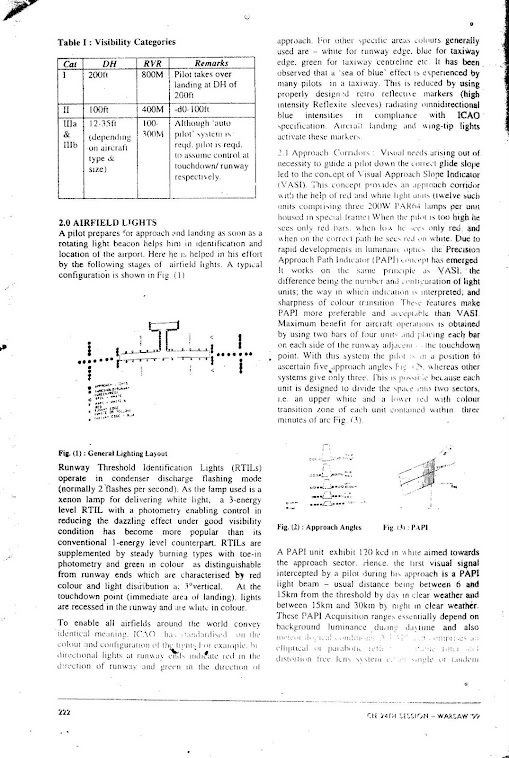 One of the main reasons is the optical control of the light emitted by LED. 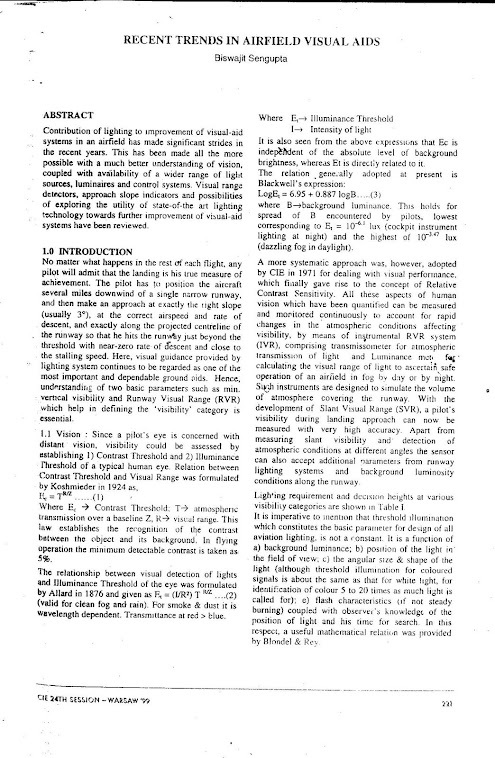 Unlike the conventional light sources which emit highly incoherent light, LED displays coherent characteristics and also its spectral coherence varies widely over the wavelengths emitted. 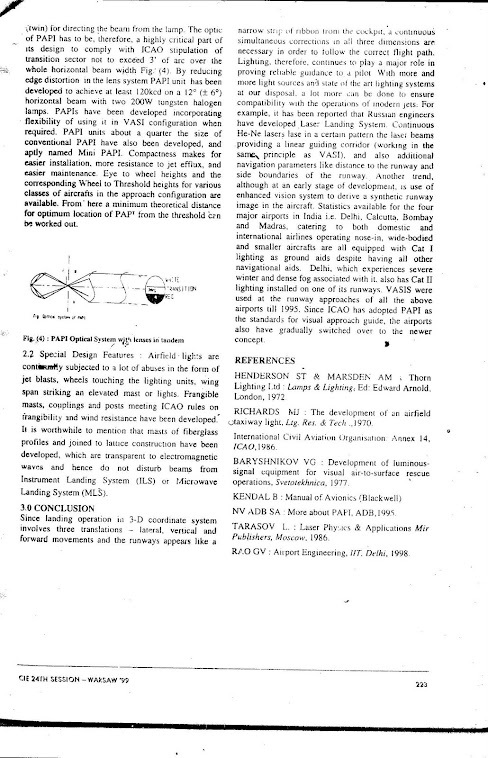 To add to the woe an LED produces a highly directional light which calls for predetermined beam angles to be set by integrating optic with the bare LED chip. That means that for each and every application in general lighting there is a need for engineered photometric control. This is because output requirements are different for different application and exacting particularly in case of streetlights. Various classes of optics have been designed and developed in order to achieve the desired emission profile for a particular application. These include refractive (continuous surface and microstructured), reflective (continuous and facetted) and diffractive optics. The reflector type used mostly with LED is Compound Parabolic Concentrator (CPC). A CPC can maximally redirect light output from an input plane. Depending on some extreme environmental conditions under which LED is required to operate for general lighting applications proper material has to be selected for the microstructured optic. Although typical materials are PMMA or Polycarbonate, high temperature applications call for Zeonor, Topas and Arton. Luminaire for every application has to be designed around the LED or module available, unlike its conventional counterpart where the shape and the size of the source are standardized for each rating and available off the shelf for replacement and maintenance. LED has still to go a long way to come to this stage. But the amount of research work going on around the world in a frantic pace will definitely see LED as a preferred light source in a couple of years. Progress in this direction keeps pouring in almost daily. 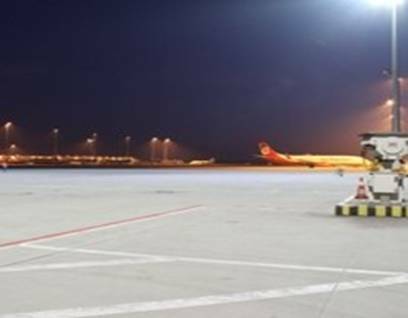 Like it is worth mentioning a showcase project on installation of energy-efficient apron lighting systems at the Munich airport. Out of seven high masts, two masts were converted to high performance LED floodlights with Cree Lamp of 4500K. Six such floodlights have been used on each mast, and on extrapolation the retrofit energy savings to all seven high masts has been found to be around 54%. The image of Munich Airport apron below shows the uniformity achieved with white LED luminaires. The yellow light at far the end is from conventional HPS. This image goes to prove that LED is marching ahead to being the future light source for general lighting application. LED FLOODLIGHTS being tried out at Munich Airport.At far end the yellow light reflected from the aircraft is from existing HPS lighting. 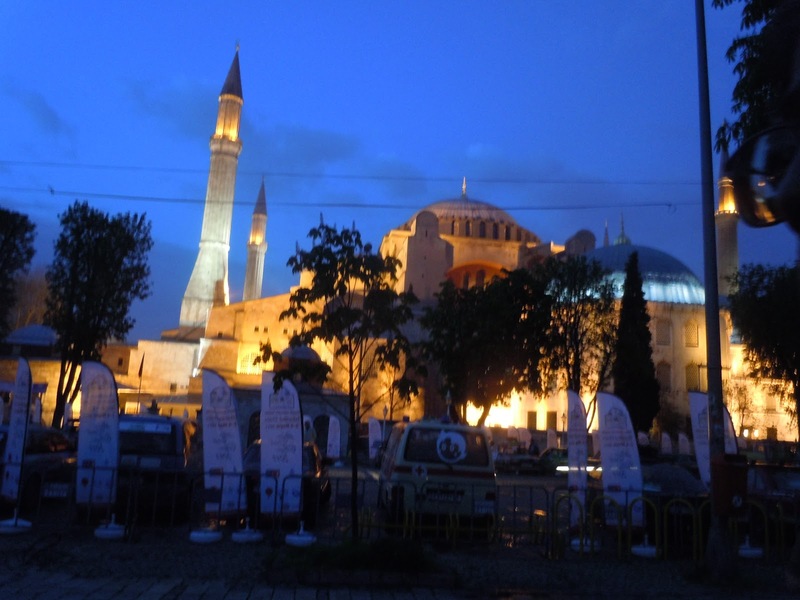 An encouraging view of LED in general lighting.